Because a basement window is installed in a concrete wall, measuring for the opening can be questionable. Typically, the existing window frame is set into the concrete at the time of construction. Because you will not be repouring the foundation, you will need to adapt the hole to accept the replacement unit. Understanding this process is important to successfully measuring the opening for the new window. Remove the sash so all that remains is the frame of the window. 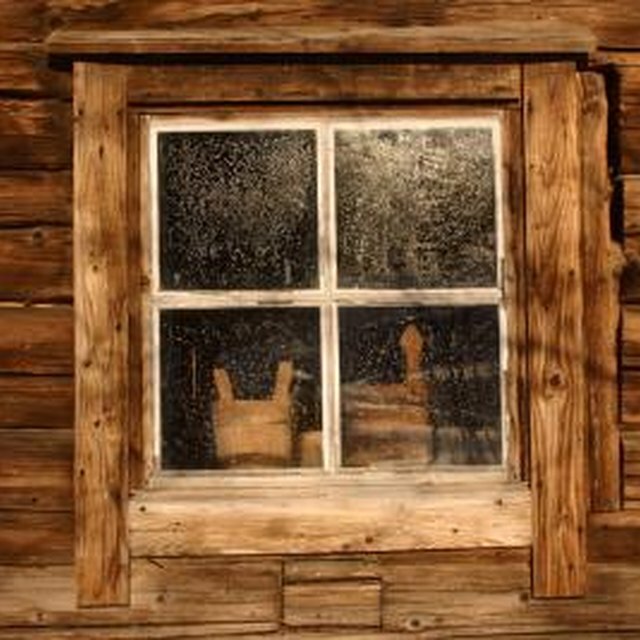 For slider windows this typically can be done by lowering the sash and twisting, whereas a hopper window will most likely have a screw that must be removed at the hinge. Because this method varies from window style to window style, and from manufacturer to manufacturer, you should consult your window's user guide if unsure. Cut the metal frame with a reciprocating saw using a heavy metal blade. Use the pry bar to remove the frame from the opening. Cut the 2-inch by 4-inch pressure treated lumber to size and attach into the concrete window opening with cut nails or concrete screws. Caulk between the lumber and wall to seal any gaps. Measure between the top and bottom installed lumber boards. Measure in three different locations along the opening and select the smallest measurement as your window height. Measure from between the left and right installed lumber boards. Measure in three different locations along the opening and select the smallest measurement as your window width. The measurement you have is called the "rough opening". When purchasing your replacement window, be sure to match rough opening size and not window size (all windows will list both measurements on its packaging). If you have multiple "same-sized" windows, don't assume they are exactly the same size. You should measure each opening individually.